However, it’s clear that if you have a wholly unsecured mortgage, you can “strip off” or “value” the mortgage at zero. Let me give you an example from a recent Summerville bankruptcy case I filed last week. The clients owed $270,000 on a first mortgage and $51,000 on a second mortgage on their residence. 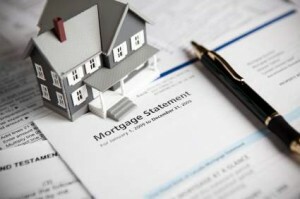 Under these circumstances, the law is clear: (1) the first mortgage cannot be modified since it’s a debt secured solely by a mortgage on the clients’ residence, and (2) the second, $51,000 mortgage, can be modified if the property is worth less than what’s owing on the first mortgage (in this case less than $271,000). Assuming that’s the case, the second mortgage is wholly unsecured. In foreclosure, the second mortgage holder would not receive anything. And, in turn, if that’s the case, the second mortgage can be stripped off in a Chapter 13 bankruptcy. Under the Bankruptcy Code, the lender is secured to the extent of the value in the collateral. That’s what section 506 of the Bankruptcy Code says, and that’s pretty logical. For example, if a lender uses a car as collateral for a loan, the lender is only secured up to the value of the car. So if the car is worth $10,000, that’s how secured the creditor is in the transaction. So, too, a lender who loans money on real estate and takes a junior mortgage position–2nd or 3rd mortgage–is only secured to the extent of equity to which the mortgage may attach. And in our example above, that’s nothing! Knowing the value of the property–the collateral–in the case is obviously critically important. After all, if I’m wrong about how I valued the property so much that that second mortgage is secured–even partially–then the court will deny my motion to value the mortgage at zero–wholly unsecured. Here, if the home is worth $271,000, then that $51,000 second mortgage is not wholly unsecured. It’s what we call “undersecured.” Still, it’s secured rather than unsecured. For this reason, we had an appraisal done and are confident of our valuation. The home is in an established Summerville neighborhood with over fifty homes, so values are relatively easy to determine. SunTrust appeals the district court’s order affirming the bankruptcy court’s order granting the Debtors’ Motion to Avoid Lien. We have reviewed the record and find no reversible error. Accordingly, we affirm for the reasons stated by the district court. SunTrust Bank v. Millard, No. 8:08-cv-03002-MJG, 08-17964 (D. Md. Nov. 7, 2008 & Sept. 28, 2009). So mortgage stripping in South Carolina is alive and well, provided the facts (valuation and loan balances) justify it. If you have a second mortgage and wish to keep your home, talk to a bankruptcy lawyer about your options. Given the fact that out-of-court modification isn’t always successful, the only real opportunity may be under the Bankruptcy Code. $450,000 sold and owe around $640,000? I don’t want to have to pay uncle sam tax on $190,000. which is the difference. Should I check into a short sale, or bankruptsy before 2013, or foreclosure? Thanks for commenting. You have a very complicated situation and need to discuss this with a bankruptcy lawyer in IA. What you do largely depends on other facts I don’t know about, like your income and other debt issues (unsecured debts, for example). You need to discuss your entire financial situation with a local attorney face to face in a 1-2 hour meeting. I wish you the best. Thanks for commenting. My husband and I are half way through a Chapter 13 bankruptcy. We surrendered our home a year ago but now find we are still the legal owners. We have a 2nd note on our mortgage. My question is: Can we move back into our vacant home for the next 2 1/2 years until we are discharged from the bankruptcy or can our first mortgage holder, who received a court order lifting the stay on our mortgage a year and a half ago but haven’t started foreclosure proceedings, file foreclosure documents on us at any time – or do they have to wait until the bankruptcy (second mortgage will be stripped) is discharged? You need to contact an attorney in your area. I can’t give you legal advice. I wish you the best. I have a situation that I continue to get conflicting answers on. I assume by “seasoning” you are asking when the clock starts for the waiting period for getting a new loan. It should be be governed by the discharge date because you would fall under the bankruptcy rule. For FHA loans (and I assume ASDA loans) the waiting period is usually two years post discharge and three years post foreclosure. FHA recently shortened this to as little as one year with some hardship reason for the financial problem. (And I have no idea how they determine what events qualify.) I do see some originators and underwriters referencing the foreclosure date with bankruptcy situations like yours. This is incorrect. You discharged your liability for the mortgage note in 2010. As long as you, at the time you apply, do not still own the home (you can’t own two homes and qualify) then they should reference the bankruptcy discharge date. If they don’t, the fact that you filed bankruptcy (other than helping your debt/income ratio) would be meaningless. Net/net, I see no logical or legal reason why they should treat you as if you never filed bankruptcy. The specific bankruptcy rule (two years) should control over the foreclosure rule (three years). Why? Because when you received your discharge, you had no liability on the mortgage note any more. So what difference would it make if they foreclosed in 2010 or 2012? Why would that be probative of anything, such as your credit worthiness for the new loan? You had NO legal responsibility to pay that mortgage after 2010 when you received your discharge. Someone needs to take this issue up with FHA or USDA because the underwriters are not thinking this through, or blindly following what they think is the rule. It would make sense to apply the foreclosure rule if you had not filed bankruptcy, but because you filed bankruptcy, you should fall under the bankruptcy rule. If you can’t get this resolved, apply again through another mortgage company. You may also want to address it directly with USDA, FHA or contact constituent services of your House Rep. or Senator. thank you so much for that explanation! its the best one I have had to date!